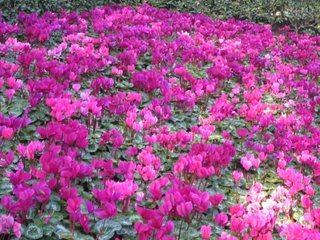 Best wishes to all for a happy, healthy 2007. We spent New Year's Eve watching a fairly mindless thrill ride of a movie, TWISTER, starring Helen Hunt and Bill Paxton as "tornado chasers." The movie consists of Hunt and Paxton madly driving from one tornado to the next, as they attempt to deploy a new tornado measuring machine into the center of a tornado. The viewer thus careens from one exciting tornado set piece to another, all in the space of a single day. Before the movie is done our hero and heroine have close encounters with everything from flying cows to flying tanker trucks, as the viewer repeatedly exclaims "Are they nuts?!" Hunt and Paxton's characters are on the brink of a divorce, and Paxton improbably drags his fiancee (Jami Gertz) along for a couple of close encounters with the tornados, until she's had her fill of near-death experiences. (She might have been the only sane character in the movie...) Mick Martin and Marsha Porter suggest in their DVD & VIDEO GUIDE that TWISTER is a reworking of HIS GIRL FRIDAY, which upon reflection is a fairly apt comparison. The film is shallow in terms of characters and relationships, but entertaining enough -- thanks to the tornado sequences -- to sustain viewer interest. TWISTER is 113 minutes long and is available on DVD. The North Carolina Conference of District Attorneys has called on District Attorney Mike Nifong to recuse himself from the Duke lacrosse case. Meanwhile the Washington Post today called on Nifong to drop all charges. This has been too long in coming, given the state of the "evidence" in the case, but Nifong colluding with the lab to suppress exculpatory DNA evidence may have been the straw which broke the camel's back. Hopefully Nifong will be off the case -- and even better, out of a job -- before too much more time has passed. As Ed Morrissey wrote yesterday: "...we only know about this one case, and that's because of the high profile of the defendants. Think about what Nifong may have done that flew under the national or even regional media's radar." For more, see Durham-in-Wonderland's summary of recent developments. THE CHRISTMAS CARD is a cozy, feel-good original TV movie production by the Hallmark Channel. Soldier Cody Cullen (John Newton) receives a Christmas card "to any soldier" while serving in Afghanistan, and when he has leave he visits Nevada City, California, the home of the woman, Faith (Alice Evans), who sent the card. Cody soon finds himself drawing close to Faith and her family and takes a job working in their family lumber business. Only Faith's father (Ed Asner) knows that the card brought Cody to their town. It's a simple and somewhat predictable story, charmingly told. Faith's family and the town of Nevada City are warm and welcoming. It's a film that the entire family can enjoy together. This article has an interview with leading man John Newton and interesting info about the locations in Nevada City. Another article on Nevada City can be read here. According to The Union, it's the highest-rated Hallmark Channel original movie ever aired. Update: THE CHRISTMAS CARD is available on DVD. My family thoroughly enjoyed watching SUPERMAN together this evening. It was the first viewing for all but one of my children. My eight-year-old son has recently developed a fascination with Superman, thanks to some books containing the old comic strips, so he watched it wide-eyed. Viewing the movie caused me to do some thinking back to the film's original release. It's hard to convey to my children here in 2006 just how exciting SUPERMAN was. Growing up in the late '60s and '70s, there were few new films appropriate for the entire family. In that Vietnam-Watergate era the popular movies were titles like THE GODFATHER and THE EXORCIST. Entertainment choices in general were far fewer in that era -- no cable, no video, just cut-up old movies on TV, riddled with commercials. Things started to turn around in 1976 with the release of the positive, optimistic ROCKY. The next year, of course, marked the beginning of the STAR WARS franchise, followed by SUPERMAN in 1978. I remember exiting the theater dazzled by the new actor, Christopher Reeve. :) After that, it seems there was a great movie nearly every summer, including THE EMPIRE STRIKES BACK, RAIDERS OF THE LOST ARK, E.T., and RETURN OF THE JEDI. It was so exciting to have good movies we could go see. And my friends and I certainly did see them...again and again and again. And the great music! 1977 and 1978 saw the start of my extensive collection of John Williams soundtracks -- LP's purchased at the late, lamented Tower Records. Enough of memory lane, and back to SUPERMAN. It holds up quite well. It's always been a bit overlong, weighed down on the front end by Superman's backstory and on the closing end by the unpleasant earthquake sequence. And the special effects are occasionally somewhat clunky by today's standards. But on the whole, it's engrossing filmmaking with every actor, especially Reeve, playing his cartoon role with conviction. That scene where Clark almost tells Lois the truth, after their flight together, is magical. The 2001 edition is a two-sided disc with a number of extras, including screen tests, which were fascinating. A skinny Christopher Reeve is seen reading two scenes with Holly Palance playing the role of Lois. Then Reeve (looking bulked-up in a couple of the later tests) reads opposite several actresses testing for Lois, including Anne Archer, Lesley Ann Warren, and Stockard Channing. Margot Kidder overcame a dreadful hairstyle and '70s granny dress in one of her tests to ultimately, of course, win the part. 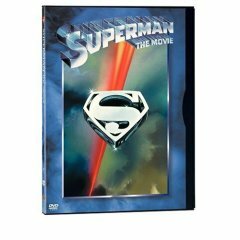 SUPERMAN was reissued last month in a 2006 4-Disc Special Edition. As I wrote last month, two different versions of SUPERMAN II have also been released on DVD. I hope to watch those in the near future. Finally, back to those great movies of the late '70s and early '80s for a moment. Who would have thought, when RAIDERS OF THE LOST ARK was released in 1981, that a fourth film in the series would be scheduled to film in 2007?! May 2018 Update: Meeting Jack O'Halloran, who played the villain Non. There will be no mail service next week on Monday or Tuesday. 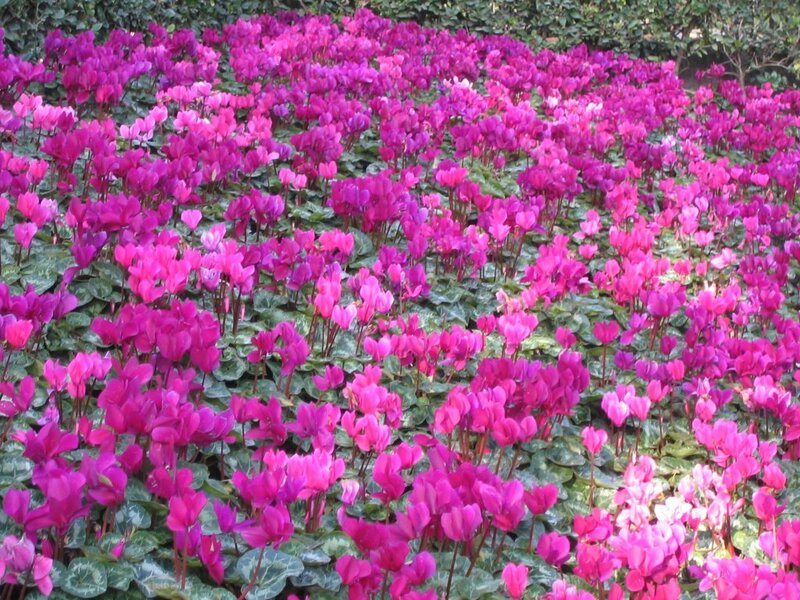 Monday, of course, is the New Year's Day holiday. Federal agencies, including the post office, will also be closed next Tuesday to honor former President Gerald Ford, whose funeral service will be held Tuesday morning in Washington's National Cathedral. Anyone who has bills due next week may want to recalculate mailing dates to be sure payments arrive on time. Last year my comments on a local news story, the demotion of KTLA's longtime Rose Parade co-anchor Stephanie Edwards, brought some of this blog's biggest-ever traffic. Stephanie must have a lot of fans out there, as those posts have continued to draw regular hits over the course of 2006. As reported by the L.A. Times (subject link), Frank Mickadeit of the Orange County Register, and L.A. Observed, this year Stephanie won't be "singin' in the rain" or anywhere else in Pasadena on New Year's Day. As Stephanie half-jestingly told the Times, this year "I'll watch the parade with my family, in my jammies, weeping softly into my hot cocoa." We'll miss you, Stephanie. I think I may give up my longtime loyalty to commercial-free KTLA and opt for the coverage on HGTV instead. New Year's Day Update: This has been a record-setting traffic day here at Laura's Miscellaneous Musings, and I welcome all new readers stopping by for news of Stephanie Edwards. Be sure to check out today's post linking to an interview with Stephanie published in today's Orange County Register. January 1, 2008 Update: Welcome to new readers seeking information on Stephanie Edwards. My January 1, 2008 post on Stephanie is here. The North Carolina State Bar today filed ethics charges against District Attorney Mike Nifong, who has been conducting what can only be called a sham prosecution against three Duke lacrosse players. The ethics charges are welcome news indeed. As Power Line notes, the Bar's complaint concerned some of Nifong's less egregious actions. They haven't yet addressed his suppression of exculpatory DNA evidence which cleared the players. More charges against Nifong may be coming. Stewart Taylor and KC Johnson (see subject link) concisely lay out the case against Nifong, as well as his "enablers," which include the media and many professors at Duke University. Johnson's site, Durham-in-Wonderland, is the "go to" site for the latest news and analysis on the Duke case. (Also recommended: John in Carolina and Betsy's Page.) Johnson is a history professor. He and Taylor are co-writing a book on the Duke case. Johnson's work on the case, tenaciously digging into what many in the mainstream media ignored for far too long, ties in well with another story currently circulating in the blogosphere. Joe Rago of Opinion Journal recently wrote an unfortunate harangue against bloggers, claiming blogs are "written by fools to be read by imbeciles." "It has to be frustrating for journalists that hordes of bankers, lawyers, professors and other anonymous shlubs can so easily crash their gate." Johnson, who took it upon himself to "practice a little freelance journalism," is a fine example of a blogger who has "crashed the gate" and made a difference. "Journalists" such as Rago disdain Johnson and bloggers at their own peril. John Kerry is in Iraq this week, and it appears he was not made particularly welcome by the troops who are, in Kerry's words, "stuck in Iraq." And is it any wonder? Check out the photo of Kerry eating surrounded by empty chairs, posted by Michelle Malkin (above) and at Power Line. These sites also contain anecdotal reports of the troops' lack of interest in Mr. Kerry. Bryan Preston of Hot Air: "I've never seen a snubbing so richly deserved." Friday Update: More on the photo from Power Line and Michelle Malkin. Some on the left have challenged the authenticity of the photo. Between them, Power Line and Malkin conclusively make the case for the picture being the real deal. Incoming Senate Majority Leader Harry Reid can't be bothered to attend the funeral of former President Gerald Ford. It seems Reid would rather go on a South American junket. He left today, the day after Ford's death. One would think that a certain level of maturity, common sense, and bipartisan good manners would be found in someone holding Reid's position. Those qualities are sadly absent here. Breaking news this evening...I link above to the Google News page on this story, which will be constantly updated. A Vanderbilt University music professor is in the process of producing 10 CDs which will contain recordings of all 126 songs mentioned in Laura Ingalls Wilder's LITTLE HOUSE books. Among the musicians helping on the project are the Grammy-winning Western group Riders in the Sky. THE LAURA INGALLS WILDER SONGBOOK, first published in 1968, is one of the treasures on my Wilder shelf. I enjoyed playing songs like "Highland Mary" on my flute when I was younger. How wonderful that someone is making recordings of the music that everyone can enjoy. Though it's not precisely a "Christmas" movie, BACHELOR MOTHER's story takes place between Christmas Eve and New Year's Day, which makes it perfect seasonal viewing. BACHELOR MOTHER is one of my all-time favorite comedies. Ginger Rogers was never more beautiful or charming than she appeared in this picture. She plays Polly Parrish, a department store clerk who through a strange series of events finds herself caring for an abandoned baby, which is assumed by everyone to be hers. David Niven is the kind department store owner's son who falls in love with Polly and the baby, and the wonderful Charles Coburn plays Niven's father. The plot is slightly risque for its day, with the incorrect assumptions made throughout the picture about the baby's parentage, but it's delightfully told. The baby is adorable, and there are few movie scenes funnier than Niven and Rogers pretending she can only speak Swedish when they meet his friends at a New Year's Eve dance. Rogers is chiefly known for her musical talents, but she was also one of the funniest women ever to grace the movies, and that scene in particular makes me laugh every time I see it. BACHELOR MOTHER was filmed in black and white and runs 81 or 83 minutes, depending on the reference source. I should have timed it myself! :) It's available on VHS. It's also part of the Turner Classic Movies library. Hopefully there will be a DVD release soon; the film certainly deserves it. November 2010 Update: BACHELOR MOTHER is now available on DVD-R from the Warner Archive. Merry Christmas to the wonderful folks at North American Aerospace Defense Command! For over 50 years, NORAD has followed Santa's annual travel across the night skies. Even a blizzard can't keep the folks at NORAD from their important mission. 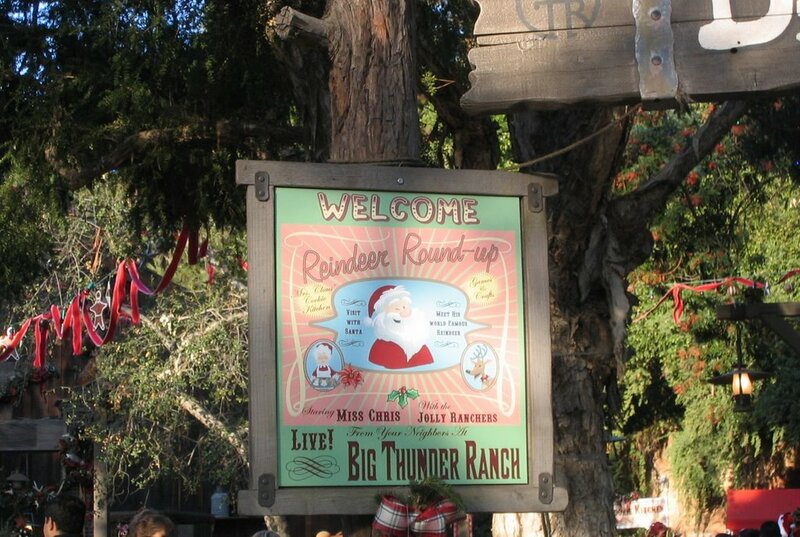 Click on the subject link to find out the latest news on Santa's journey. 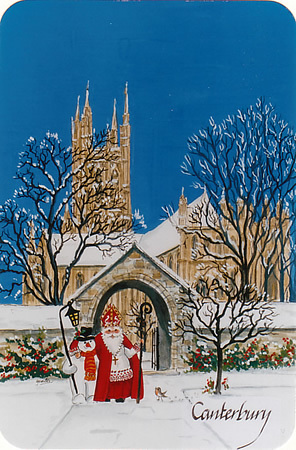 Happiest wishes for a very merry Christmas!! The original Rudolph and Santa puppets from 1964's RUDOLPH THE RED-NOSED REINDEER, which resided in an attic for many years, have been restored and are on display in Atlanta. I hope to one day visit these in the Smithsonian...which would be the ideal place for them to end up after their tour is completed. I felt a real thrill of discovery this evening watching REMEMBER THE NIGHT. As a film fan, it's exciting to watch a movie for the very first time and realize that it's something extra-special. Directed by Mitchell Leisen from a wonderfully original script by the great Preston Sturges, REMEMBER THE NIGHT tells the story of a shoplifter who ends up spending Christmas at the home of the district attorney who is prosecuting her case. Barbara Stanwyck and Fred MacMurray portray the shoplifter and the D.A., four years before they costarred in the classic DOUBLE INDEMNITY. The story is improbable, yet it unfolds completely believably. I especially liked that Sturges didn't take any cheap shots in his script -- for instance, a lesser writer might have kept the shoplifter's background a secret from the D.A. 's mother, but everything is out in the open. As my husband commented, "That's good writing." The ending is optimistic but isn't unrealistically easy, either. I've never been a Stanwyck fan, but I found her moving in this film; she is subdued and feminine, despite playing a shoplifter, without the brusque manner I find unappealing in some of her other performances. As for MacMurray, he was a revelation. I've seen him in a number of films over the years -- most recently in THE PRINCESS COMES ACROSS, reviewed here last July -- and found him enjoyable but not especially memorable. In this film he was a wonderful, romantic leading man, a true knight in shining armor. The movie gave me a whole new perspective on MacMurray. The excellent supporting cast includes Beulah Bondi and Elizabeth Patterson -- two great character actresses -- and Sterling Holloway, better known to some as the voice of Winnie-the-Pooh. REMEMBER THE NIGHT is available on video. It is also part of the Turner Classic Movies library. The movie is in black and white and runs 94 minutes. Old Time Radio Experience recently posted an interesting piece on this film, which includes links to radio productions of the story. Leonard Maltin writes in his CLASSIC MOVIE GUIDE that the film is "Beautifully made...builds masterfully as it creates a very special mood." It does indeed. 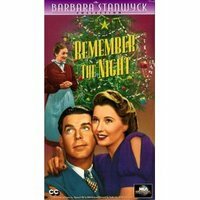 November 2009 Update: REMEMBER THE NIGHT is now available on DVD from TCM. 2015 Update: REMEMBER THE NIGHT also had a release on Blu-ray but copies seem to be limited. December 2015 Update: I had a wonderful experience seeing a 75th Anniversary screening hosted by the Academy. ...just the title, not the book! "Click on the eraser and you will be taken to a room — you'll see a window, a door and a mirror. "In the mirror, you'll see a hallway. Click on the farthest doorknob and look for the Christmas tree. They click on the center of the door next to the mirror and a wreath appears. Then click on the top of the mirror and you'll see a garland. "Look for a cobweb next to the door. Click on it, and it will disappear. Now, look at the chimes in the window. Click on the second chime to the right, and hold it down. The chime will turn into the key, which opens the door. Click on the wrapped gift behind the door, then click on it again and figure out the title yourself by playing a game of hangman." Alternatively, if you click on the subject link, the title is provided at the very end of the article. Best Buy Changing for the Better? Over the years I have avoided Best Buy as much as possible, due to a series of poor customer service experiences. There were a couple times in particular where the shelves were empty of a particular item and the sales guy shrugged his shoulders and offered no further help. I prefer to buy online or, in a pinch, my husband has kindly done the shopping there and dealt with the customer service know-nothings. I was "forced" to return to Best Buy last October in search of a last-minute gift item, and I was amazed to have a salesperson approach me and offer his help. Not only that, but when the computer showed the item was in stock but it wasn't on the proper shelf, the clerk spent a good 10 minutes prowling the aisles until he found it. The improper shelving wasn't a good thing, but the salesperson's tenacity was, and I left that day happy. I don't think I'd ever had a Best Buy clerk offer his help before, let alone actually follow through and deliver. Yesterday I again went in for a couple last-minute items there wouldn't be time to order. Once again, a salesperson asked if she could help me find what I needed. And the checkout clerk was so pleasant that my college-age daughter commented on his nice attitude with surprise. Friendliness is simply something we haven't experienced at Best Buy before this year. Thus it was quite interesting to come aross an article in today's USA TODAY about the efforts Best Buy is making to provide better service, particularly to women. Where previously the store was designed as a loud "grab and go" environment with guys in mind, now "shoppers may notice a softer, more personal atmosphere. Music is quieter... Salespeople talk to customers..."
This contrasts with a business article I read about Best Buy a couple years ago, in which the store categorized customers as devils and angels, wanting to get rid of more casual browsers and bargain hunters, while focusing on tech-knowledgeable customers who would buy big ticket items. Obviously that rather rude and calculated approach didn't work for the store. USA TODAY terms the recent changes the "feminization" of the store. While Best Buy's CEO also comments that "Women likely will notice and appreciate some of the changes more," it seems to me that this goes far beyond gender issues. This is about a company (finally) deciding that good customer service is a worthwhile investment. New details have come out about the methodology former National Security Advisor Sandy Berger used to steal classified documents from the National Archives. Berger left the Archives with the classified documents and hid them under a nearby construction trailer. He later retrieved the documents and took them to his office, where most of them were destroyed. Mr. Berger didn't go to jail for this because why again? The documents probably contained information that made the Clinton Administration look bad. It would certainly be interesting to know what was in them. Thursday Update: Scott Johnson of Power Line notes that the New York Times couldn't be bothered to cover this new development, instead simply running a wire service story. Can you imagine what the coverage would be like were Berger a Republican?! 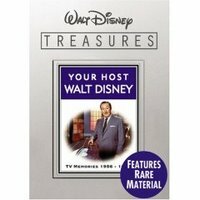 At regular intervals over the last half-decade there have been new releases in a remarkable DVD series, WALT DISNEY TREASURES, hosted by Leonard Maltin. Each set contains Disney rareties, such as documentaries on DISNEYLAND USA or TOMORROWLAND, which mixed Imagineer Ward Kimball's programs on space with documentaries on Walt's futuristic designs for EPCOT. ON THE FRONT LINES featured Disney's WWII cartoons. The DVDs are packaged in special tins and typically have newly produced extras included along with the older material. Among the sets our family has especially enjoyed are DISNEY RARETIES, which brought us cartoons such as PAUL BUNYAN, FERDINAND THE BULL, THE LITTLE HOUSE, and BEN AND ME, and SILLY SYMPHONIES which includes classics such as THE OLD MILL. (Disneyland's Storybook Land Canal Boats ride features the title mill, but we had never seen the cartoon until this DVD set.) My children have also loved spending time with SPIN AND MARTY, THE SWAMP FOX, and DAVY CROCKETT. The sets are special in that they combine rarely seen "treasures" with entertainment enjoyed by the entire family. This week sees the release of four new sets: YOUR HOST, WALT DISNEY (subject link), THE COMPLETE PLUTO, VOLUME 2, MORE SILLY SYMPHONIES, and THE HARDY BOYS. 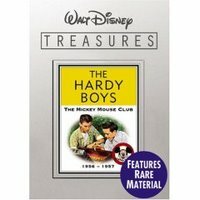 The DVDs, as described at Leonard Maltin's website Movie Crazy, sound wonderful, with commentary tracks and new featurettes among the extras. My one complaint is redundancy: the Disneyland 10th Anniversary Show, included as part of YOUR HOST, WALT DISNEY, was included in the previously released DISNEYLAND USA set in 2001. It's a wonderful program, as Walt gives Disneyland Tour Guide Julie Reems a tour of the Imagineers at work, but I think it's reasonable to expect all-new material in each Disney Treasures set, not something we purchased five years ago. For more info, please visit The Shelf. One of my early childhood memories is of Perry Como's smiling face staring out of an ornament on the cover of his record MERRY CHRISTMAS MUSIC. When I was about preschool age I had a little record player on which I played that album year-round. I especially loved his telling of "Twas the Night Before Christmas" and the song "C-H-R-I-S-T-M-A-S."
I still love this album now. If you have one Perry Como Christmas album in your collection, that's the one to own. Perry Como, of course, recorded other Christmas albums, and there have also been compilations released mixing and matching some of his Christmas songs. My collection has a number of Como CD's, including A PERRY COMO CHRISTMAS, GREATEST CHRISTMAS SONGS, CHRISTMAS WITH PERRY COMO and SEASON'S GREETINGS. 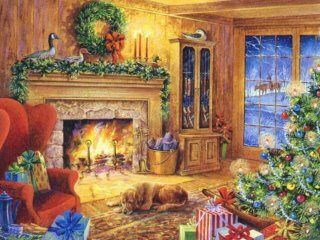 SEASON'S GREETINGS and A PERRY COMO CHRISTMAS contain Perry's rendition of "Home for the Holidays," which makes them particularly worthwhile. 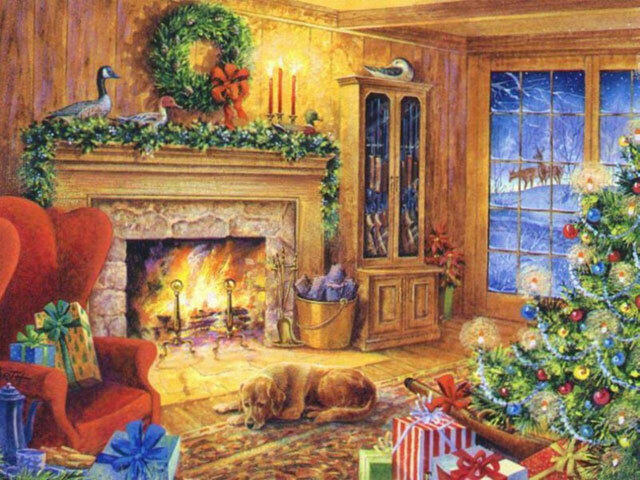 Another song I enjoy hearing Como sing, "No Christmas Like a Home Christmas," can be found on A PERRY COMO CHRISTMAS and GREATEST CHRISTMAS SONGS. While I give my highest recommendation to MERRY CHRISTMAS MUSIC, any one of these albums are excellent choices to expand your Christmas music collection. You won't be able to get through this story with dry eyes, but you should read it and contemplate the sacrifices made by so many of our nation's brave men and women. We owe all of them a great debt. Is Mitt Romney Really a Conservative? I have been skeptical of Mitt Romney's conservatism for some time now and have been unable to understand the adulation many conservatives feel for Romney. I suspect there is a bit of "Obama Syndrome" when it comes to Romney -- some party loyalists are anxious to rally around a personable candidate and see what they want to see when looking at Romney. Each party is looking for a fresh candidate who can snowball down the hill into victory, but I think both Romney and Obama are going to have some difficulty under closer scrutiny. Byron York at National Review (subject link) takes up the subject of "recent revelations" about Romney's lack of conservative credentials. I think these aren't so much recent revelations as that people are finally taking a close look at Romney's history; I was sounding the alarm bell about Romney's very recent "conversion" to being pro-life back in August, and others have done the same. York, looking ahead to the primaries, concludes that "...it appears Romney has some serious repair work to do in South Carolina, and among social conservatives in general." I don't know that the "repair work" can be done. I don't trust Romney to make sound judicial nominations, given his confused history of opinions on, among other things, abortion. And a "conservative" who would disavow Ronald Reagan for political expediency, in an attempt to win office in Massachusetts, is not the candidate for me. As a postscript, Newt Gingrich has different baggage of his own, but I'm starting to wonder if his strategy for 2008, described today at Captain's Quarters, might not be rather smart. Let the other candidates shoot at each other in the early going, and enter the competition later when some candidates are starting to fizzle out. If you set aside personal issues (unfortunately, Newt's not the only potential candidate with a checkered marital history), who emerges as the true conservative among, say, McCain, Giuliani, Romney, and Gingrich? That's an easy answer for me. Michael Barone muses on Barack Obama, and concludes: "Obama has the ability to be a strong candidate. But it's not clear, perhaps not even to himself, whether he has the capacity to be a strong and effective president." It will be interesting to see whether Obama Mania will be sustained long term or will fizzle out. Monday Update: John Fund on "Why Barack Obama May Not Run." HAPPY HOLIDAYS WITH BING AND FRANK is a wonderful 25 minutes of Christmas music. This 1957 TV special, in which Bing comes to Frank's for a Christmas meal, has snippets of dialogue that are a little hokey, but the show is wonderfully "retro" in appearance, and you can't beat the almost nonstop singing of the two great masters of 20th Century popular music. Old Time Radio Experience recently had a nice post on this program. This special is available on DVD (see subject link). Extras include a commentary track (the late Bill Miller, Frank's longtime pianist, is one of the commentary participants) and video of a Museum of TV and Radio panel discussion about the show with Frank's daughters. Potential buyers should be aware that the run times on the box (90 minutes) and at Amazon (60 minutes) are incorrect. The program itself is 25 minutes long. Perhaps they were including some of the extras in the running time, which isn't standard practice. Regardless of running time, this is a show that really adds to the Christmas mood, and fans of Crosby and Sinatra, in particular, will want it in their DVD collection for annual viewing. Jimmy Hawkins, who at age four played little Tommy Bailey in the 1946 film IT'S A WONDERFUL LIFE, has written a children's book inspired by the movie. IT'S A WONDERFUL LIFE FOR KIDS! presents a story about Hawkins' character, Tommy. Hawkins was recently interviewed (see subject link) and says he stays in close touch with his film siblings, played by Larry Simms, Carol Coombs, and Karolyn Grimes. A 60th Anniversary DVD of the movie was recently released. Extras include documentary featurettes. Thomas Sowell: "Judges Who Ignore the Law"
Thomas Sowell dissects Justice Stephen Breyer's recent claim that laws are "not clear," so judges must base their verdicts on "values" rather than the plain words in front of them. He concludes: "It is shameless sophistry. But they are not going to stop until they get stopped. And the only way to stop them is to start impeaching those judges who go counter to the law. "There will of course be outcries about a threat to an 'independent judiciary.' But the judiciary is not supposed to be independent of the laws, which is the dangerous situation today." Tonight we enjoyed the 2004 TV musical production of A CHRISTMAS CAROL starring Kelsey Grammer as Ebenezer Scrooge. While not the most moving or sumptuous production of A CHRISTMAS CAROL made thus far -- that honor, in my book, goes to the 1984 TV production starring George C. Scott -- this version is engaging on its own terms. Grammer is entertaining as the infamous crank whose life is changed one Christmas Eve. The film has a pleasant score and a solid supporting cast including Jane Krakowski, Jennifer Love Hewitt, and Geraldine Chaplin. I particularly enjoyed Jesse L. Martin of LAW AND ORDER as the Ghost of Christmas Present and Jason Alexander as Jacob Marley. If you're looking for a new version of a familiar classic to enjoy during the holiday season, this movie nicely fills the bill. A CHRISTMAS CAROL runs 97 minutes. It is available on DVD. Additionally, the soundtrack is available on CD. The Washington Post has published an extensive cookie baking guide which is sure to put anyone in the mood to bake Christmas cookies this weekend. Then pay a visit to the New York Times food section, which has an interesting article on various kinds of sugar. According to London's Daily Mail, Queen Elizabeth II and others at Buckingham Palace approve of THE QUEEN. In THE QUEEN Helen Mirren portrays Queen Elizabeth dealing with the aftermath of the death of Diana, Princess of Wales. The film has received widespread praise, and Mirren is expected to receive an Oscar nomination. I'm looking forward to seeing it at some point. Unfortunately thus far the selection of theaters it's playing in here is fairly limited. "Mr. President, You Are Not Alone"
A wonderful column by Tony Blankley. Don't miss it. 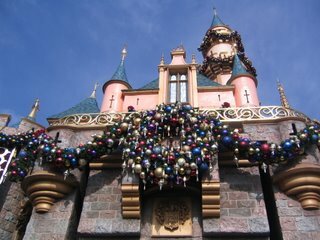 Today was our family's annual all-day Christmas visit to Disneyland. We start off by splurging on breakfast at River Belle Terrace. 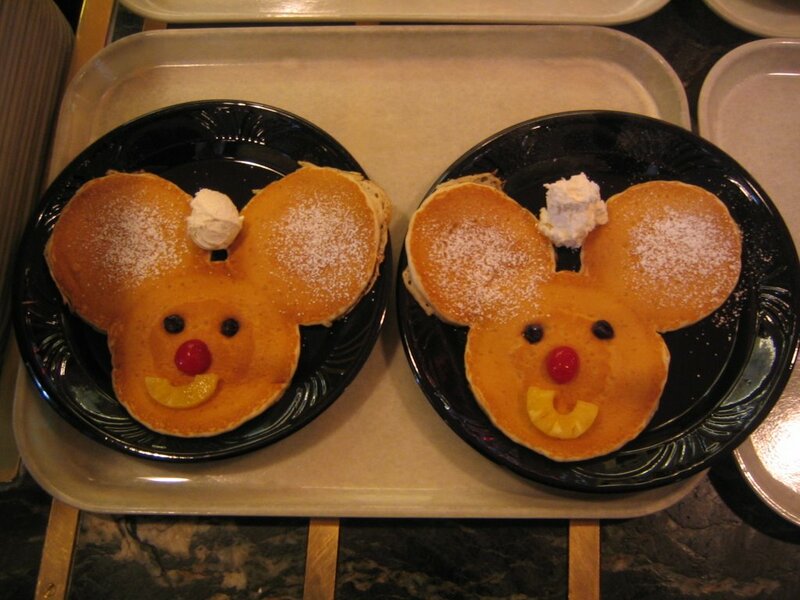 Who can resist Mickey pancakes? Some of the elaborate decorations in New Orleans Square. 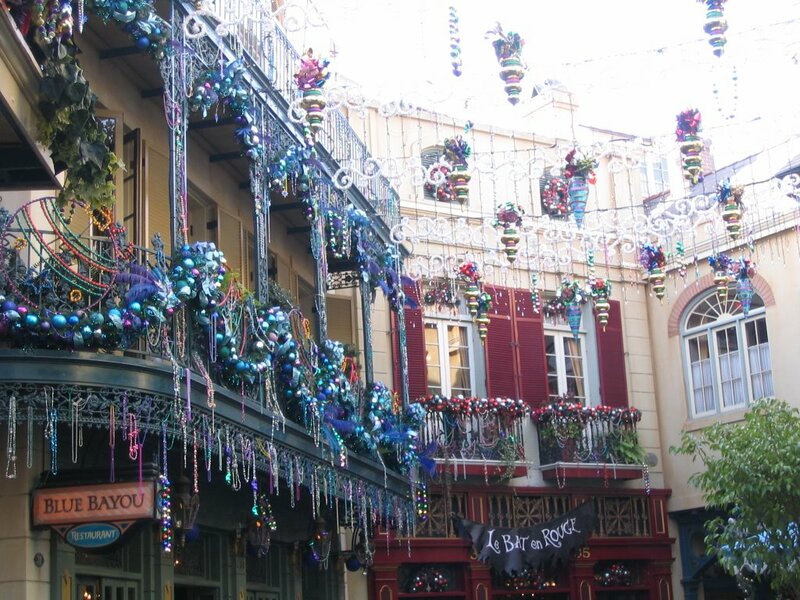 Upstairs are the windows of Club 33. 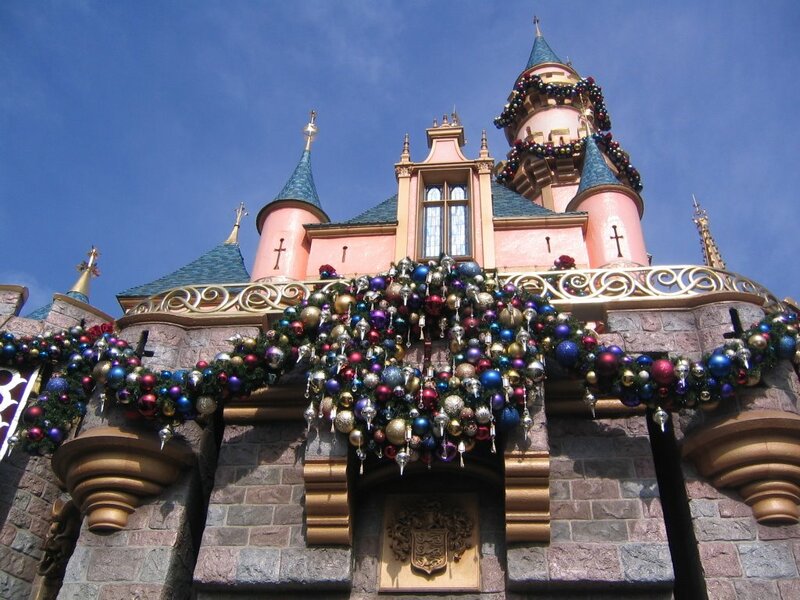 One of my favorite Christmas memories of Disneyland is from working there during my college years. 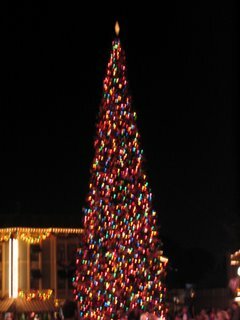 I loved walking down Main Street at night, after the park was closed, and having the tree and Christmas music all to myself. My youngest son had a major thrill when he was one of the children chosen for the Jedi Training Academy. He battled Darth Maul. He is still floating. :) A good time was had by all. THE DEVIL WEARS PRADA, originally reviewed here last July, was released on DVD today. We watched the DVD tonight and enjoyed it all over again. If you haven't seen it yet, it makes for a very entertaining evening. Meryl Streep alone makes the movie worth watching. The DVD comes with a nice selection of extras including a commentary track, deleted scenes with commentary, several featurettes, and a trailer. Only now, unfortunately, he's California's incoming Attorney General, and his stated priority, out of all the issues facing our state, is enforcing global warming legislation. Captain's Quarters (linked above) has the details. UCLA has had the files of approximately 800,000 students and alumni hacked in what may be the largest breach of computer security at a U.S. university. The problem is not new -- last year USC was hacked -- but what I find novel is the excuse published in the L.A. Times for why it happened. The L.A. Times uncritically reported that "several" identity theft experts told the paper Monday that "Partly because of their tradition of openness, universities are proving to be a favorite — and often vulnerable — target." The paper then quotes Jay Foley, executive director of the Identity Theft Resource Center, as saying: "Universities tend to have a lot of information floating around in a lot of different places. They are places we send our children to share ideas, and it's hard to mix the open sharing of ideas with the need to tighten down on security." You would think that a university would be among the first to create a hacker-free computer security system, given the talented people on campus...why hasn't that happened yet? It may be that the security problem wasn't taken seriously, but I hardly think the systems were vulnerable because the university viewed applicants' information as a part of their culture of a "tradition of openness" and "open sharing of ideas." WKRP in Cincinnati Coming to DVD? Rumor has it that WKRP is coming to DVD next April. The series has not been on DVD previously due to expensive music licensing issues. (Music licensing was also an issue with NORTHERN EXPOSURE, another series which prominently featured a radio station.) Some of the original music has been replaced, but that is apparently the only way the series could be brought out on DVD at a reasonable price. U.S. intelligence agencies during the Clinton Administration were bugging Diana, Princess of Wales? I'd sure like to hear an explanation for that one. Update: According to CBS and the AP, the NSA plans to release a statement denying the British report that the U.S. was eavesdropping on the princess. I've been without an Internet connection much of the weekend. For some reason our Verizon DSL always goes out when it rains. Verizon tech support never has an answer on the reason for that. Monday Evening Update: Our connection is still erratic, and we were knocked completely offline again for a while this evening. Sure cuts into blogging time! Perhaps I wasn't meant to watch the movie until this week, because it struck the perfect chord for me seeing it now. It's a lovely film about two lonely people finding a second chance at love, with the Thanksgiving and Christmas holidays as a backdrop. If you're looking for a change of pace from the usual holiday fare, you can't do better than watching Garner and Andrews, two consummate pros, in a moving and enjoyable story. According to IMDb, the beautiful snowy exteriors were filmed in Montreal. ONE SPECIAL NIGHT is available on DVD and video. It runs 92 minutes. Little House Books: No Illustrations More "Relevant"? HarperCollins, in a misguided move to make Laura Ingalls Wilder's LITTLE HOUSE books more "relevant," is removing the classic illustrations by Garth Williams from upcoming paperback editions. The covers on the new editions, available in January, will feature photographs of a girl. There will be no illustrations inside. Williams' art will still be available in other editions. Williams wasn't the first to illustrate the LITTLE HOUSE books -- that honor went to Helen Sewell and Mildred Boyle -- but he was the best. It's hard to imagine the books without his beautiful pictures. Williams did extensive research before undertaking the project. A decade or more ago I attended an exhibit at an art gallery in Hollywood which featured several of Williams' original drawings for the books, along with his original painting of the cover for CHARLOTTE'S WEB. For someone who grew up with these books, seeing Williams' artwork was quite a moving experience. It's sad to think that HarperCollins believes no illustrations at all are somehow going to be easier to market to today's children than the Williams editions, but there you have it. Debra Burlingame, whose brother was the pilot of the plane which crashed into the Pentagon on 9/11, has written an excellent editorial about the recent events with the six imams in Minnesota. Burlingame lays out the events and why the passengers and crew were correct to respond as they did in great detail. "...the most despicable aspect about the imams' behavior is that when they pierced the normally quiet hum of a passenger waiting area with shouts of 'Allahu Akbar' and deliberately engaged in terrorist-associated behavior that was sure to trigger suspicion, they exploited the fear that began with the Sept. 11 attacks. The imams, experienced travelers all, counted on the security system established after 9/11 to kick in, and now they plan not only to benefit financially from the proper operation of that system but to substantially weaken it--with help from the Saudi-endowed attorneys at CAIR." Update: The Washington Times reports that three different probes into the imams' removal from the flight have concluded that the airline acted properly and "the imams' claims that they were merely praying and their eviction was racially inspired are without foundation." As a postscript, Michelle Malkin links to the sad news that Debra Burlingame's niece has died in an apartment fire. New York City is banning trans fats, including margarine, from the city's restaurants. I am wondering if this new law will be challenged in the courts. What is to stop New York or any other government entity from, in future, banning other foods of which they disapprove? What's to stop banning the sale of margarine in stores? Today it's margarine. Tomorrow, Twinkies? Coke? Sugar? As I wrote on this date last year, pausing in our Advent journey to remember St. Nicholas is something our family particularly enjoys each December. Once again the shoes are lined up in the hall awaiting a chocolate St. Nicholas and other small treats. The St. Nicholas Center has interesting information aimed at those of all Christian faiths. The website includes children's activities. If you are looking for Advent activities your family can enjoy together, Mrs. Happy Housewife recently posted some good ideas. Walt Disney was born on this date in 1901. 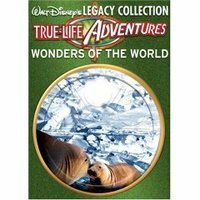 How fitting that his nature films, True Life Adventures, have been released today. I have seen bits and pieces of these films, which include WHITE WILDERNESS and PERRI, over the years, probably on THE WONDERFUL WORLD OF DISNEY or perhaps even in elementary school. 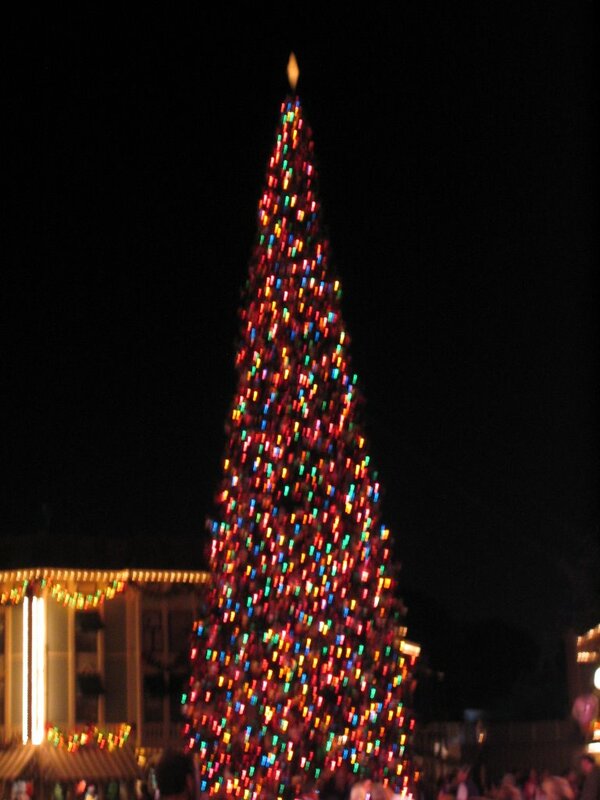 However, this is a part of Disneyana about which I know very little. I'm looking forward very much to becoming more deeply acquainted with this series. Volume 1 (see subject link) is titled WONDERS OF THE WORLD. It includes MYSTERIES OF THE DEEP and WATER BIRDS, which was included in a DVD release of THE RESCUERS some years ago. Volume 2, LANDS OF EXPLORATION, includes THE LIVING DESERT and THE VANISHING PRAIRIE. Volume 3 is CREATURES OF THE WILD, and Volume 4 is NATURE'S MYSTERIES, which includes the aforementioned PERRI. My grandparents had a little photo picture book of PERRI which I recall fondly from my early childhood. All of the DVDs have new introductions and other extra material filmed by Walt's nephew, Roy Disney, at Disney's Animal Kingdom. The San Diego Union-Tribune and Orange County Register posted informative articles on these new releases today. Another excellent, detailed article was recently posted at Coming Soon. I was sorry to learn today that one of my favorite homeschooling blogs, Spunky Homeschool, is shutting down. This was a great site for both information and discussion regarding a wide range of homeschooling issues. Best wishes to Karen (aka Spunky) as she departs the blogosphere. Last October I noted the passing of tuba player Tommy Johnson. As I wrote then, you may not have heard his name, but you've heard him -- if nowhere else, playing the "shark music" in JAWS. As described by the Washington Post (subject link), the tribute included a performance by 99 tubas. My husband told me that among the 99 were the first chair tuba players from several symphonies, including Chicago, Philadelphia, San Diego, and Orange County. Although it currently appears to be down, Johnson's family and friends have started a website, www.tommyjohnson.org, to preserve the history of Johnson's life and career. Enjoy the Washington Post's account of the concert honoring the man composer-conductor John Williams called "one of the great instrumentalists of his generation." Update: National Public Radio now has a report on the concert posted on the NPR website, with a link to their radio story. The radio piece includes a brief recording from the concert and some of the music from JAWS. Well worth the minute and a half of your time. Wednesday Update: Many thanks to Kevin Roderick at L.A. Observed for the link. It's rather curious that the Los Angeles Times has ignored a wonderful "arts" story in its own backyard. I've been a fan of Larry Gatlin and the Gatlin Brothers since I first heard their songs when I was in college. The combination of Larry's songwriting talent and the beautiful blending of the brothers' voices never fails to wow me. I've been fortunate to see them in concert several times, and they are true showmen; they always give fans their money's worth and then some, including lingering after concerts to greet fans and sign photos. A GATLIN FAMILY CHRISTMAS is the oldest of their Christmas albums. It dates back to their heyday at the top of the country-pop charts in the early '80s. The tracks include Larry's lovely compositions "Sweet Baby Jesus," "Steps," and "Alleluia," which they use to close every concert, as well as a number of traditional Christmas carols. This album might be my favorite of their three Christmas albums, just because I've listened to it the longest and associate it with many Christmases past. 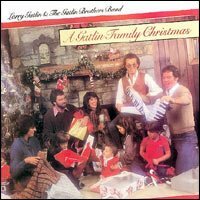 CHRISTMAS WITH THE GATLINS, also sold under the title CHRISTMAS WITH THE GATLIN BROTHERS, contains many Christmas standards and Larry's song "Christmas All Year 'Round." His "Sweet Baby Jesus" also appears on this album. Two-thirds of the tracks on this album are religious carols, but they also included my two favorite "secular" Christmas songs, "White Christmas" and "Silver Bells." 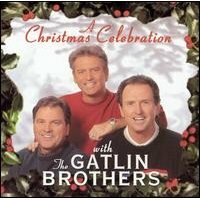 A CHRISTMAS CELEBRATION WITH THE GATLIN BROTHERS is a bit different in that it has a number of new Christmas songs which weren't written by Larry, including "I Have Held My King," performed as a solo by Rudy, "They Saw a King," and the rousing choral number "I Have Seen the Light." Larry's songs "No Star Tonight in Bethlehem" and "All We Like Sheep" also appear on the album, along with a closing performance of "Alleluia." This stirring album in particular causes one to reflect on the miracle of Christ's birth. Contrasting opinions on rising Democrat star Barack Obama today from Kevin McCullough and Ed Morrissey. McCullough predicts that Senator Obama will be taking the Presidential oath of office in 2009, and lays out the reasons why. Morrissey is concerned about Obama's lack of experience and says "...this Obama boomlet looks like desperation" on the part of Democrats who normally might counsel him to take the time for some seasoning -- perhaps as governor as Illinois. Morrissey goes on: "Democrats want to take a freshman and vault him not just to the varsity but to make him the captain of their team. It might work -- or it might turn out to be a disaster" which could ruin his future political aspirations. It may not be politically correct to say so, but one wonders if there is a sort of reverse racism in play here, due to Obama's "black" (in reality, racially mixed) ethnic background. Obama is an attractive and articulate man. But he has almost zero legislative or executive experience. Even Bill Clinton, who rose to the Presidency in part because many people found him similarly appealing, had executive experience as governor of Arkansas. It's an uncomfortable question but one that perhaps should be asked regarding what some call Obama's "rock star" appeal: Would he be greeted with the same over-the-top enthusiasm at this very early stage in his career if he were perceived as white? I note that Rush Limbaugh mentioned today that another front-runner, Hillary Clinton, doesn't have a great deal more legislative experience than Obama. She has no executive experience. Some pundits tout Hillary having lived in the White House as a valuable part of her resume. (Somehow I don't think that would play well were Laura Bush to run for office.) In Hillary's case, what she has going for her, beyond a term in the Senate, is being the first "serious" woman candidate. 2008: The year of the affirmative action "celebrity" Democrat candidate? The Supreme Court will soon be hearing a case regarding Seattle's race-based admissions plans for its public schools. Seattle's school district has some rather disturbing ideas regarding race. As George Will describes: "Until June, the school district's Web site declared that 'cultural racism' includes 'emphasizing individualism as opposed to a more collective ideology,' 'having a future time orientation' (planning ahead) and 'defining one form of English as standard.' The site also asserted that only whites can be racists, and disparaged assimilation as the 'giving up' of one's culture...the district's intention is to avoid 'unsuccessful concepts such as a melting pot or colorblind mentality.'" It will be interesting to see whether the Supreme Court allows Seattle to continue to assign children to schools based on the color of their skin. Spunky Homeschool points out a new education initiative for England's schools, announced by Prime Minister Tony Blair: graduates should not just know the "3 R's" but have "life skills" which include being able to "cook a meal...enjoy the theatre and use the internet." She responds to this government nannyism with the pithy comment "...why don't they just keep kids in school full-time and parents can check them out like library books when they want to play with them." Reminds me of a story I linked to over a year ago, in which a pro "universal preschool" teacher said, "Since schools are doing so much of the education, nurturing and socialization of kids these days, it's better to get them in earlier..."
These attitudes are really quite a sad reflection on modern society and the increasing desire of those in the employ of the government to step into what traditionally have been parental roles. We all know there are some sad situations out there where parents are uninvolved and do a poor job, but that doesn't justify the government stepping into the role of parenting everyone's children. When my children were still in our local public schools I found myself constantly having to "push back" against the schools to maintain the proper school/parent roles; for example, the school was conducting onsite scoliosis exams without first obtaining parental consent. I was told that was too cumbersome a process as the children couldn't be depended on to take home permission slips or letters; and since the school was doing a good thing, what parent would object? No one disputes that preventing scoliosis is a noble goal, but I'm sorry, you don't have my child disrobe and examine her without consulting me -- the parent -- first. I could give several similar examples. I had some successes on a couple of like issues after contacting the school district's attorney, but eventually the "battles" wore me out. It's no fun being a squeaky wheel. And I wondered why none of the other parents raised the same kinds of questions...is it easier for most parents to "go along to get along"? Unfortunately, for a variety of reasons I think in years to come we are going to see our nanny state schools encroaching further and further into "parenting" our children, and based on my past experiences, I suspect not too many parents will quibble. Earlier today Power Line had a report on tall tales told to the press by the imams' leader.